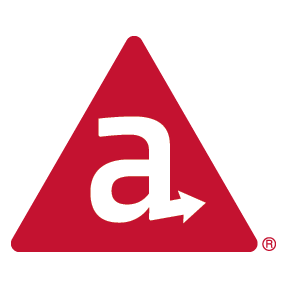 Appcelerator Titanium build tools and UI for the Atom text editor. Atom 1.21 (or later) is required. Some features are implemented as providers for services in the Atom IDE package. Install atom-ide-ui package. Preferences/Settings > Install > Search for appcelerator-titanium. The toolbar provides a UI to commonly used commands when developing a Titanium application. Further information on each function is provided in the sections below. Select to run on simulator or device, package for ad-hoc or App Store distribution or a custom build option. Select available platforms to build for. Select simulator/emulator or local device. When attaching a device, select Refresh Targets option to add it to the target list. When building for device (iOS) or distribution (iOS and Android) the option to configure code signing or keystore credentials is available. Toggle the LiveView icon to enable or disable LiveView in your application. Provides information about the active project. Presents a dialog to generate a Titanium component: Controller, View, Style, Model, Widget or Alloy.jmk file. Show or hide the console which outputs debug information during build and run. The console displays debug logging during the build and run. The log level is passed to the appc run comand so selecting the log level does not alter output from the currently executing command. There are options to automatically scroll the console to the latest message and to open it when a build is initiated. When building for a device and ad-hoc or App Store distribution, a certificate and provisioning profile must be selected. Click the code signing / keystore button (#4) to display the code signing options. Certificates are populated according to the selected build option (developer / distribution). Available provisioning profiles are displayed but only those which match the selected certificate and app ID are enabled. When building for distribution through Google Play, the app must be signed with a keystore. Click the code signing / keystore button (#4) to display the keystore options. Autocompletion support is provided to help speed up development by providing quick references to Titanium APIs and Alloy markup as well as references to modules, widgets and assets within your project. Autocomplete suggestions can be regenerated by selecting the 'Regenerate autocomplete suggestions' option from the package settings and relaunching Atom. Suggestions for other controllers, modules and widgets are presented when referencing through a Titanium function or Alloy markup. Image suggestions are presented where appropriate, including a thumbnail preview and information about the scaled versions available. Opening related Alloy files is supported (see above commands list). Jump-to-definition support is provided for quickly accessing the definiion or usage of Alloy markup and to easily generate new definitions. Images can be opened directly from their path. From Views, click through to style definitions for tags, classes and IDs, in related or global TSS. Click through to event definitions in the related controller. Click on localised string references to jump to their definition. The option to generate undefined strings is provided. This package would not be possible without support from the Titanium community. Autocompletion, jump-to-definition and grammar support provided by Jong Eun Lee through the Titanium Alloy package. Also a huge thanks to all our open source contributors that help making every release unique for the Titanium community!